Along with a drill (preferably cordless), a circular saw is one of two power tools on my list of must-have tools for the home workshop. Buy a good circular saw now and you can expect to be using it 10 or 20 years from now. Here are some tips to keep in mind when you shop for your circular saw. Circular saws are categorized by the diameter of their blade they take. The most common and useful size is 7 and 1/4 inch. Saws this size will cut through material more than 3-inches thick, and they also offer the widest variety of blade choices for cutting substances other than wood. Circular saws have long been available in two styles. Worm-drive saws are short and long, with the handle behind the blade. The blade is located on the left, making it visible to right-handed users. They tend to be heavier and have more torque than sidewinders. Sidewinders are the most recognizable style to most of us. The handle is set higher over the blade, and the blade has traditionally been located on the right side of the saw. They are lighter and less expensive than worm drives, and they spin faster. A good sidewinder is the best choice for the home workshop. The power of circular saws is most often expressed in amperage. Today, 15-amp saws are the standard. We would only recommend a 10- or 12-amp saw for someone who knew they would be using it infrequently. The price difference just isn't that significant for a purchase you can expect to use for many years. Cordless circular saws are great, but we don't own one simply because they are also expensive. When we need to use our circular saw, we're rarely far from an outlet, and when we are, we have an extension cord to bridge the gap. Most home workshops will be best served with a corded saw, and the longer the cord, the better. Cheaper saws come with shorter cords. That said, cordless circular saws have improved in power and durability to the point that many professionals are using them. The best way to buy one is to buy a set of cordless tools from the same manufacturer. From a distance, every sidewinder circular saw looks pretty much the same (except for the color). Up close, though, they can feel much different. The only way to experience that difference is to head to your local tool supplier and test them for yourself. Does the handle fit your hand? Does the saw feel well balanced and the right weight for you? Are you comfortable with the visibility of the blade and the adjustment components? 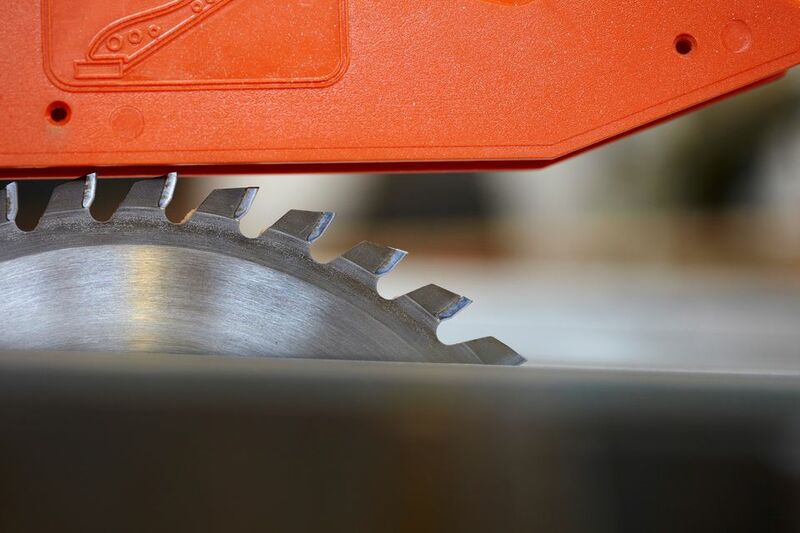 Most new saws come with a carbide-tipped all-purpose wood-cutting blade. This might be the only blade you ever need, but there are many other types of blades available for special purposes. You can buy blades for cutting wood, metal, tile, and concrete. If you plan to do a lot of work requiring clean cuts, consider buying a blade with a higher number of teeth. Changing blades takes just a few moments. What Is the Best Way to Clean Your Circular Saw Blades?